As I travel the world researching and speaking I often take with me small token gifts from famous British retailers as a 'thank-you' for those who have been particularly helpful. On more than one occasion these have included bars of luxury chocolate boasting the Harrods logo. It meets my self-imposed brief of being from a famous British shop that everyone has heard of but very, very few have ever received a gift from. In good old branding 'speak' the emotional impact of the bar is considerably more than the chocolate fix! 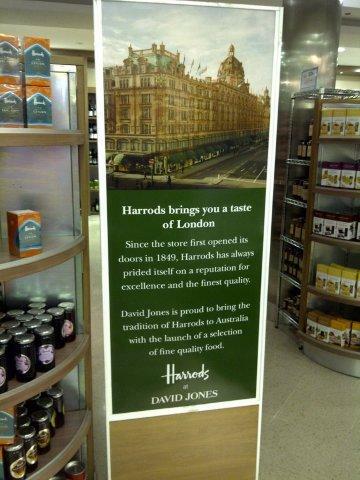 So you can imagine the surprise when I noticed a section of the food hall in Sydney's famous David Jones department store given over to Harrods merchandise. Of course this means I could just pop straight into the store when visiting Sydney and buy products as token gifts - saving me time and effort transporting them. But really there is a bigger dilemma for me - does luxury chocolate from Harrods really meet my brief anymore? And of course the answer is NO! I'm sure Harrods and David Jones aren't going to worry one little bit about me, but it does raise an interesting dilemma for Harrods. By increasing the accessibility of the Harrods' brand is it diluting the very thing that makes it attractive in the first place? The answer is yes! But if Harrods are going to leverage their valuable brand this is precisely what needs to be done. Clearly one of the easiest ways to make more money is to sell more stuff - but when you've built a brand on charging a premium for scarcity and exclusivity you have to tread very carefully - something internet shopping is shinning a harsh light upon. 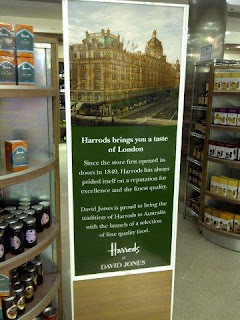 It's obvious I won't be buying chocolates from Harrods and I doubt very many people from Sydney visiting London will either - and I guess Harrods are sleeping soundly knowing this - after all there a lot of Australians who'll never visit London. But how 'special' will the millions of tourists (Harrods is believed to be London's second most visited tourist attraction after the Tower of London) feel when they do buy Harrods merchandise in London only to increasingly find many of the same things in their local cities. It's a very real dilemma where I've always advised the answer lies in farming practice - whenever you harvest a brand, you have to make sure you put something back, some goodness to enrich and ensure future growth. It's good old fashion brand husbandry and I hope for the sake of the brand, Harrods is doing it in spades! 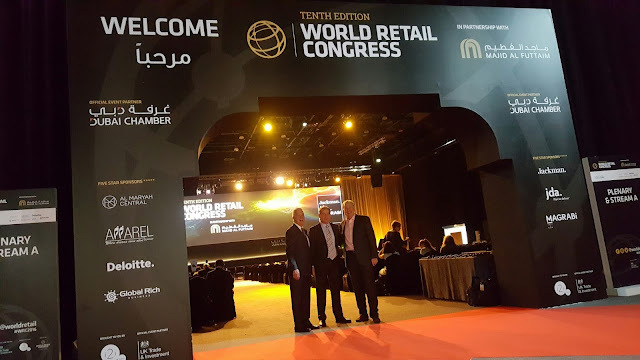 Launching my third book on the modern customer - It's not about us, it's all about them - I was incredibly honoured to be joined on stage in Dubai by two award winning leaders featured prominently in the book. Brad Davis - marketing hall of famer and currently marketing supremo of the sector re-defining and phenomenally successful North American, Opus Bank. John Gillam - award winning leader of Bunnings, an organisation I believe to be one of the best run retail businesses on the planet. An Australasian 'home improvement' brand that has recently bought the ailing Homebase UK operation. Drawing from my conclusions I summarised how, "in a world turned upside down by technology, customer obsession is everything." Brad and John then answered a spectrum of questions each in their wonderfully insightful manner. 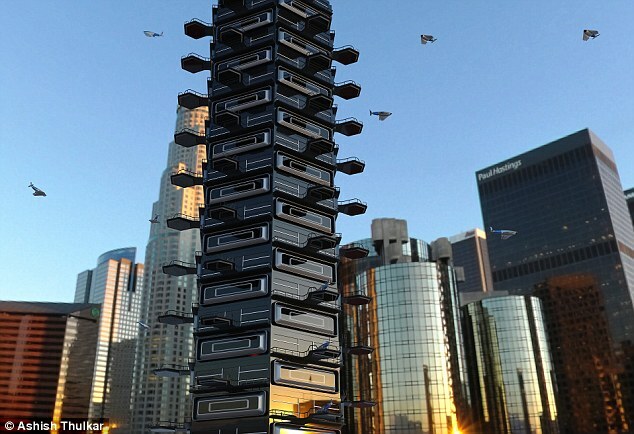 Individual drone deliveries ...naaaaaah, it wont get of the ground. As an instrument-rated fixed wing and rotary private pilot I hope I'm wrong ...but I cant see how the world will embrace one-to-one drone deliveries ...even if your preferred pizza choice is stone cold and soggy! In fact I'd go as far to say I believe this is all one big PR stunt to position a host of brands at the bleedin' edge of technology. Where's the smart money going? We all kinda knew it but now it's official. 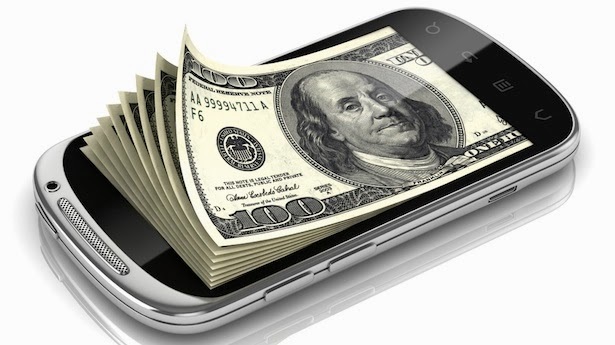 Ad revenue for smart phones and tablets in the UK is forecast to beat news print by the end of the year and expected to become the single biggest ad channel by 2017 by beating TV advertising. There's a great article in the UK's FT newspaper that fleshes-out the reasons.... But really as a customer it's very simple. What part of easy don't you like? What part of personalised don't you like? What part of fast don't you like? Whether you'll be wearing your device, looking through a devices glasses or sunglasses or simply messing around chatting to others.....the brands you rate or the brands you're likely to like will be talking to you about the things you like....and if you get bored you can delete them. Simple.